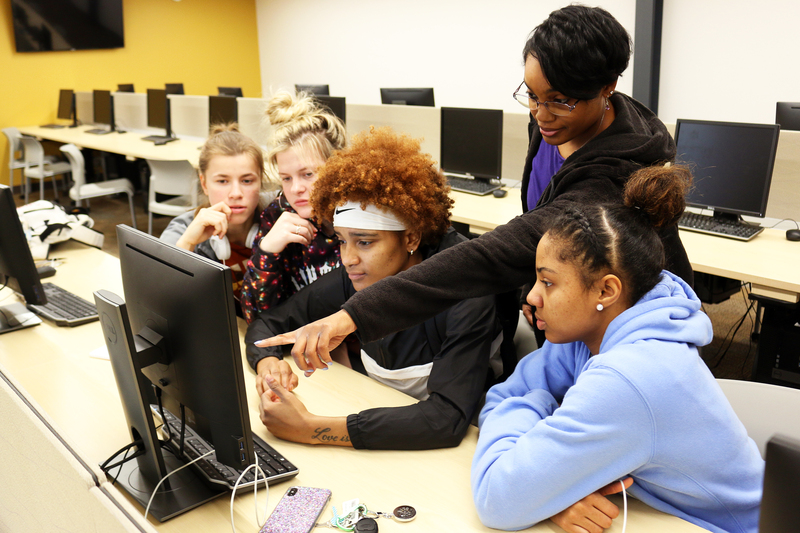 Panola College has implemented an Academic Support Lab with professors and peers working as tutors to provide additional instruction for development of reading, writing, and mathematics skills. Supplemental funding for the lab is provided through a grant from the Texas Higher Education Coordinating Board. The grant targets corequisite instruction that helps students become TSI complete, a designation that signifies college readiness. Under the new corequisite initiative, students take developmental math or English along with the college-level academic math or English included in core curriculum requirements. In the past, students who were not TSI complete were blocked from academic level math and English until they successfully completed developmental courses. Depending on the students’ progress through the developmental sequence, these required courses could delay completion of the associate degree. “We are pleased with this new approach because it puts students on track to finish their degree plans on schedule, and saves time and money,” Brooks said. Through the corequisite program, professors staff the Academic Support Lab and are available to students five days a week for reading, writing, and mathematics skills. Tutoring is nothing new to Panola College. Students have had access to free tutoring in all subjects, including career and technical subjects, through the Student Success office for years, according to Don Clinton, Vice President of Student Success. Peer tutors are paid, and are not required to qualify for Work Study federal funding, which is needs-based funding. “Peer tutors say that by teaching the concepts of math and English to others, they find that the process reinforces their own mastery of the material. They aren’t just teaching and tutoring – it’s more of a collaborative learning experience. Research has also shown that some students are more comfortable being tutored by other students,” he added. Tutoring opportunities range from face-to-face sessions in a computer lab to online Zoom conferences. Face-to-face sessions are offered on Tuesday and Thursday afternoons at the Marshall College Center. The online Zoom sessions make tutoring available to students who are studying at home. For more information, contact Teresa Brooks, tbrooks@panola.edu, 903-693-2060 or Don Clinton, dclinton@panola.edu, 903-693-2055.